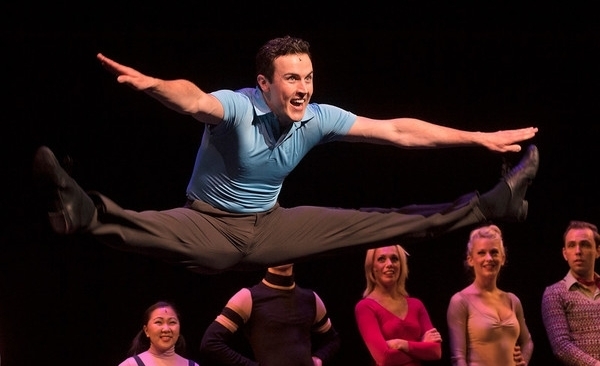 Brian Corkum was back "on the line" this summer in A Chorus Line at the Lexington Opera House; but this time, he played the confident show-off, Mike Costa. The show was set and directed by Lyndy Franklin Smith, who made her Broadway debut in the 2006 Revival of A Chorus Line. Brian got to share the stage with Broadway veterans like Anne Horak (Chicago, White Christmas) as Sheila, Denis Lambert (A Chorus Line, Doctor Zhivago) as Zach, Eloise Kropp (Cats, Dames at Sea, On The Town) as Val, and Sarah Bowden (A Chorus Line at The Hollywood Bowl) as Cassie. Learning this Pulitzer Prize winning musical from Lyndy Franklin Smith was a dream come true. Lyndy was the female swing for Bebe, Connie, Kristine, Maggie, and Judy in the 2006 Broadway Revival and she served as the Dance Captain for Baayork Lee. She has lived and breathed this show for years and holds it close to her heart. Her favorite quote from the show is "the gift was ours to borrow," and to perform A Chorus Line for the audiences of Lexington was truly a gift. Brian was honored to have borrowed it for the summer. A link to a video clip of "A Chorus Line" is included in the Broadway World article below. CLINK THE LINK BELOW!